Buddhism is a very peaceful religion that centers around releasing oneself from attachments and feelings of dissatisfaction, and embracing liberation through following simple truths and a regular meditation practice. At the core of Buddhism is the development of mindfulness; Buddhists believe that by becoming more mindful and present in everything you do, say and think, you will eventually enter a state of what’s known as “Nirvana,” or the ultimate liberation and awakening of the soul. 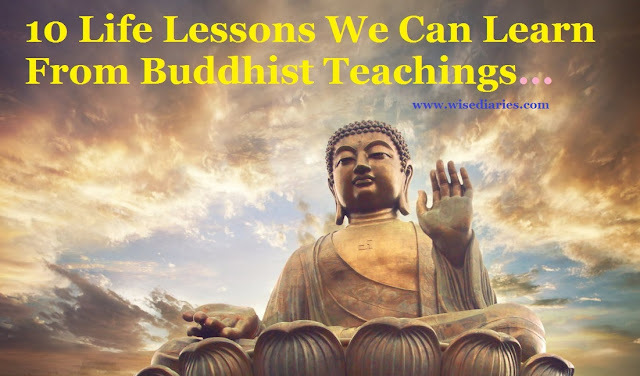 In studying Buddhist teachings, we can learn many important life lessons that will help all of us along this sometimes difficult but rewarding journey on Earth.